PAYZANT, JOHN, New Light Congregational minister and tanner; b. 17 Oct. 1749 in Jersey, third son of Louis Payzant and his second wife Marie-Anne Noguet (Nazette); m. 1774 Mary Alline, and they had eight sons and one daughter; d. 10 April 1834 in Liverpool, N.S. The mental turmoil of worshipping as a Protestant after his time in Quebec and of adjusting to life in Falmouth “contributed to bring Serious thoughts” into Payzant’s mind. Hoping “to compose” himself and live “a more Retired life,” he decided to marry and settle down, choosing as his wife Mary, the sister of Henry Alline*. However, in the winter of 1774–75 his anxiety revived. He discussed his troubles with Alline, and found his peace in the Lord one week after Alline had done so, on 2 April 1775. Alline’s mysticism and asceticism were to have little influence on Payzant, but he did believe with Alline that the essence of Christianity was spiritual rebirth through a personal religious experience. He did not share Alline’s indifference to church rules, and he was to wage a long struggle to maintain order in the disputing New Light churches. Neither Alline nor Payzant had any formal theological training, and Payzant was hesitant about engaging in preaching. He nevertheless began in 1778. He seems to have felt no need to be ordained, and it was not until 1786 that he was “set apart” and became minister of the Horton and Cornwallis New Light church. 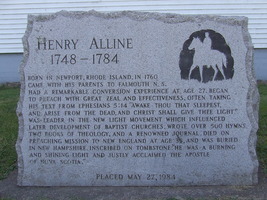 For the next six years he laboured in this church, increasing its membership from 30 to 130 while itinerating throughout the townships settled by New Englanders. He strove to keep the congregation together as disputes between paedobaptists and antipaedobaptists became endemic. These quarrels were compounded by an outbreak of antinomianism at Horton in 1791, which spread to other New Light churches. Payzant opposed the antinomians, or “new dispensationers,” as he termed them, but, exhausted by the struggle, in 1793 he accepted an invitation from Congregationalists and New Lights in Liverpool. The New Lights in Nova Scotia either had formed separate churches or had sown such confusion within existing Congregational churches that these churches had been dissolved. In Liverpool, however, Payzant was requested to bring about a reconciliation between the majority of the Congregationalists and the New Lights, and the group which resulted was able to take over the town meeting-house. Payzant’s training and his financial independence, conferred by the tannery he ran, made him one of the “first characters” of the community. Indeed, about 1804 he was approached to be Simeon Perkins*’s successor as custos rotulorum but replied that the commission he had from God was the only one he wanted. 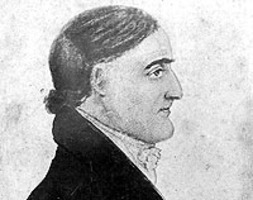 From Liverpool Payzant continued his efforts to bring order and organization to the scattered and quarrelling New Light churches in the colony, which were facing an increasing threat from the Baptists. Payzant believed in “open communion” churches, where the form of baptism was no bar to membership, whereas the Baptists were adherents of the “close communion” principle, which recognized only adult baptism. In 1797 Payzant took the lead in calling a conference to form an association of the New Light clergy to bring some discipline to the movement. However, inroads continued to be made by the Baptists, led by Thomas Handley Chipman, nominally a New Light. The association met again in 1798 as the Congregational and Baptist Association. Payzant did not attend the 1799 session because of a dispute in Liverpool with Harris Harding* over which of them would be minister there. The 1800 meeting was decisive since all the ministers attending, except Payzant, were now Baptists, although their congregations generally contained only a minority of that denomination. Chipman attempted to persuade Payzant to support “close communion” churches, but he refused, and after a spirited defence of “open communion” he withdrew. His church remained open to Baptist preachers, even though they used every means to try to oust him. Up to his last sermon, preached on Easter Sunday 1834 when he was 84, Payzant remained faithful to the indigenous sect inspired by Alline. Although lacking Alline’s charisma, he had attempted to provide leadership and organization to the New Light movement, and in that sense he can be called Alline’s successor. Payzant’s journal has been published as The journal of the Reverend John Payzant (1749–1834), ed. B. C. Cuthbertson (Hantsport, N.S., 1981); the original is in PANS, MG 1, 1189A. Atlantic Baptist Hist. Coll., Acadia Univ. (Wolfville, N.S. ), Cornwallis, N.S., Congregational (Newlight) Church, records; Joseph Dimock, diary, 1796–1845; Fragment of letter announcing formation of a yearly conference, 1797; E. M. Saunders, “The trials, the patience, the firmness, and ‘splendid isolation’ of Rev. John Payzant” (typescript, n.d.). PANS, MG 1, 1185–89A. The Payzant and allied Jess and Juhan families in North America, comp. M. M. Payzant (Wollaston, Mass., ). B. C. Cuthbertson, “PAYZANT, JOHN,” in Dictionary of Canadian Biography, vol. 6, University of Toronto/Université Laval, 2003–, accessed April 22, 2019, http://www.biographi.ca/en/bio/payzant_john_6E.html.